Despite fuel costs trending down over the past couple of years, energy costs are still one of the largest expenses for most greenhouse growing operations. As a result, growers are keener than ever before on finding energy solutions that can help them deal with these expenses, along with factors related to a changing climate. Here’s what two leading industry suppliers are doing when it comes to new innovations in greenhouse energy systems. 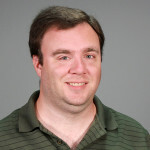 According to Joel Rechin at BioTherm, the two most common concerns growers tend to have when it comes to heating and cooling are cost and effectiveness. Is their system heating and/or cooling the environment adequately, and how much in fuel and electricity is it costing them? It also means taking other factors into consideration beyond the initial capital to retrofit or build a new system, such as the overall efficiency of the system or the monetary benefit of properly heating (such as using root zone heating for more turns per season) or cooling. “Cost of ownership is much more important than initial cost,” Rechin says, who notes that BioTherm tries to work with growers to find solutions that fit their operation best for both the short and long term. 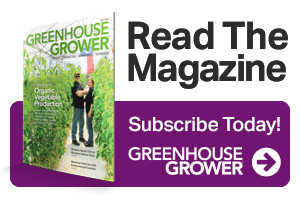 “A well-designed system addresses both cost and effectiveness, and ensures the grower is getting exactly what he or she needs, while properly maintaining overall plant health,” Rechin says. For example, if a grower is cultivating on the floor, BioTherm will provide a tubing system that heats or cools from the ground up, keeping the plants’ roots warm or cool. If a grower is cultivating on benches, BioTherm can provide an aluminum finned pipe system that hangs under the benchtop that provides heating or cooling evenly across the entire bench surface. Heating technology has come a long way in the past decade, and BioTherm is developing several new innovations. Stella Thomas, Marketing Manager at Svensson, says energy savings are always top of mind, with growers especially interested in maximizing their energy savings potential. “Climate curtains are among the most effective ways to save energy and strongly aid in reducing both heating costs at night and in the winter, helping control cooling costs by reducing temperatures and preventing plant stress due to high amounts of solar radiation,” Thomas says. Svensson has several climate curtain solutions to help growers overcome heating and cooling concerns, Thomas says. “By working closely with growers and using tools like our energy calculator app and our Svensson Climate Advice services, we’re able to provide operations with comprehensive climate screen recommendations based on their greenhouse setup, location, and goals,” Thomas says. The Svensson research and development department is constantly exploring new advancements that are at the forefront of climate screen innovation. Among these recent innovations are Svensson’s New Harmony light-diffusing flame retardant range of climate screens. The new generation of Harmony climate screens approaches light diffusion differently, by improving the way sunlight is scattered through the screen’s strip. Light is distributed more evenly to all plants and significantly diminishes structural shadows. According to Thomas, field tests show that plants in shade spots receive up to 32% more light with the new Harmony screen compared to the classic Harmony. These combined benefits result in faster growth, strong plants, and better growth consistencies, all of which have led to the recent shift from the former aluminum standard to Harmony. 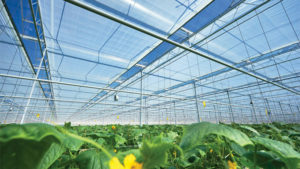 In 2016, Svensson introduced an open, exterior Harmony screen, which gives growers the ability to lower greenhouse and crop temperatures while allowing more light in, compared to black and metallic shade screens. And earlier this year, the company introduced Luxous 1147 FR, which provides 2% more light without losing out on energy saving and humidity transport properties. The transparency of Luxous 1147 FR makes it possible to keep the screen closed for more hours during the day, leading to further energy savings.